Went to his new home on Thursday 5th May 2016. 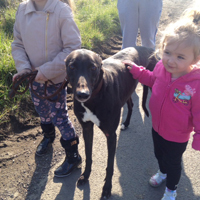 Riley is a black ex-racing greyhound who was born in October 2010, weighs 30k and is a real gentleman. Riley is house trained, neutered, inoculated and microchipped. 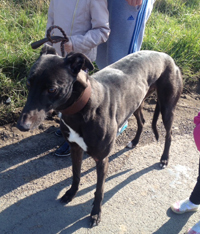 He walks lovely on the lead, travels well in a car and and is super with children and other breeds of dogs. 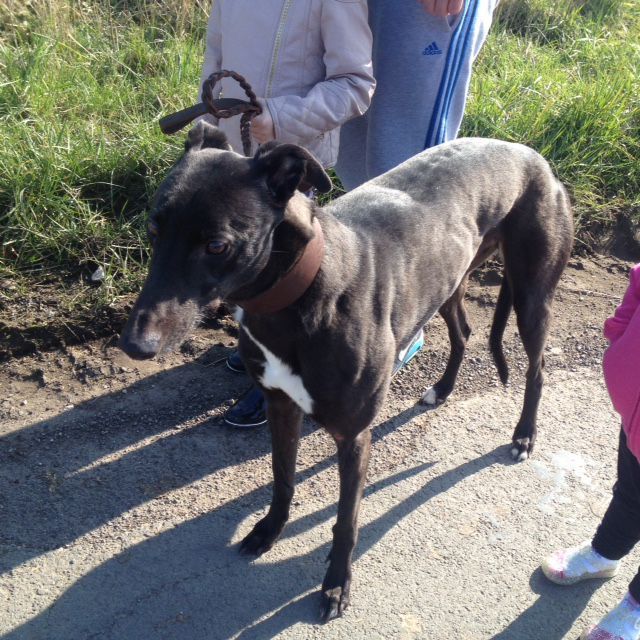 Riley is looking for a new home. This morning the lady who wants to adopt Riley called in, completed all the paperwork and took him home with her. When she arrived he hadn't forgotten her and gave her a lovely welcome. 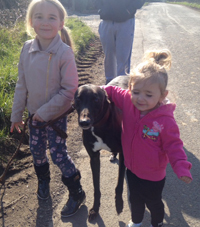 Riley's new family comprises of a couple and their lurcher called Amos who we hope he will become best mates with. 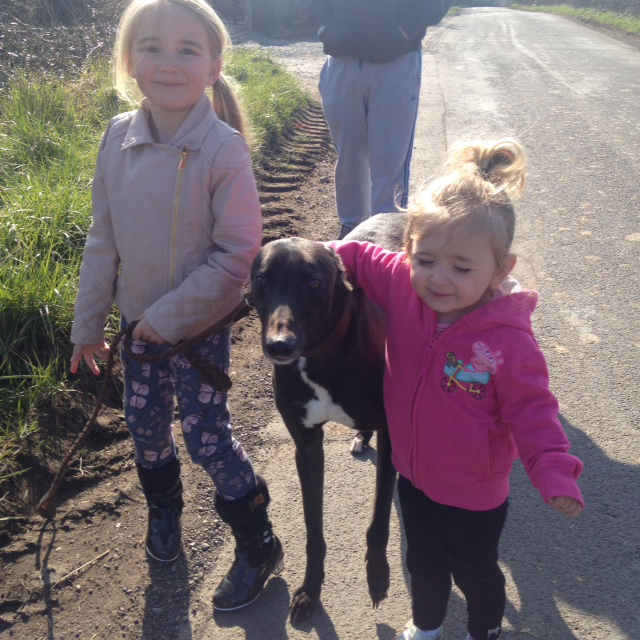 Have a long and happy life Riley in your new home with your new family.